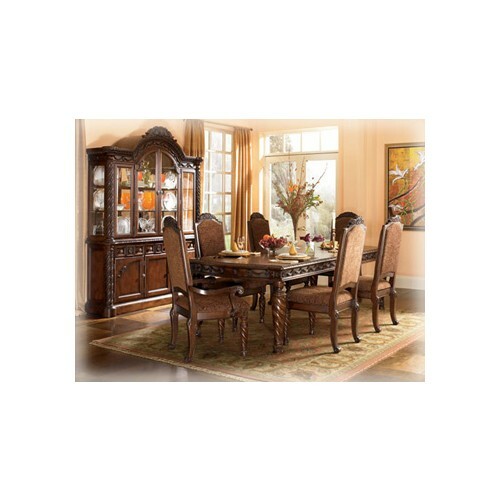 A deep rich stained finish and exquisite details come together to create the ultimate in grand traditional design with the elegance of the North Shore dining room collection. 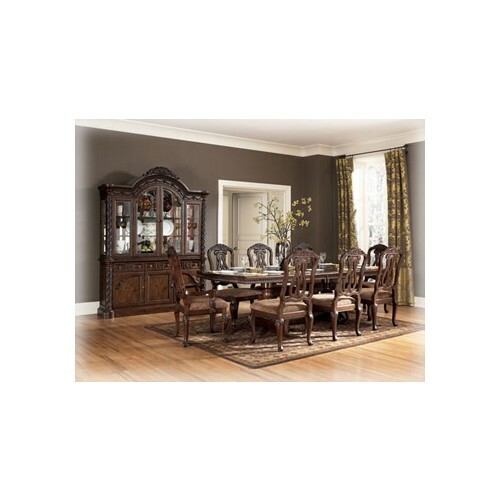 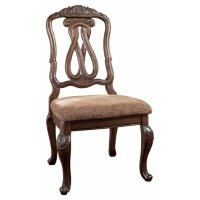 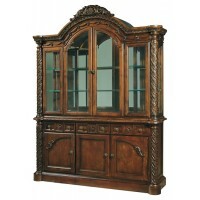 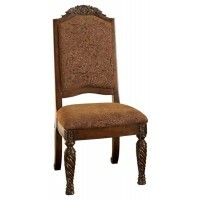 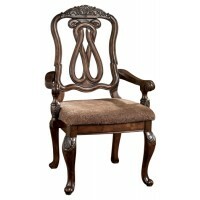 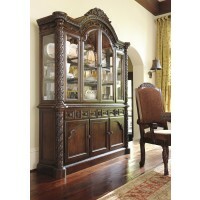 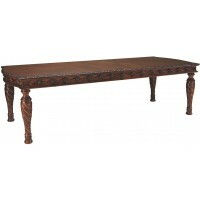 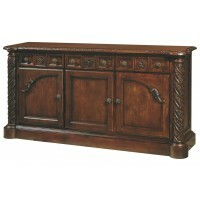 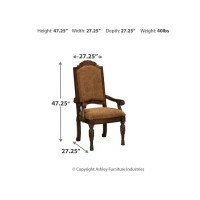 The opulent brown stained finish flows beautifully over the decorative pilasters and ornate detailed appliques to create a rich elegant atmosphere to any dining experience. 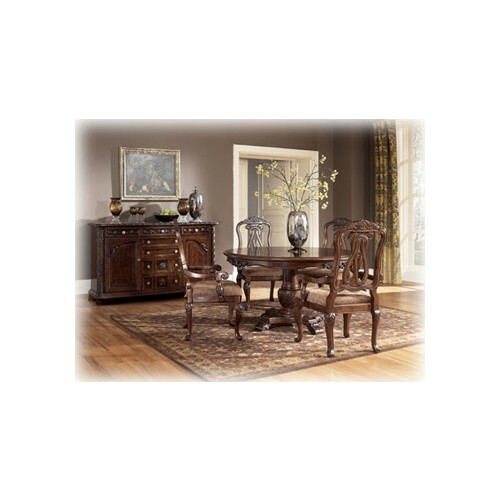 With the comfort and beauty of elegantly upholstered chairs, this furniture collection takes traditional style to the next level. 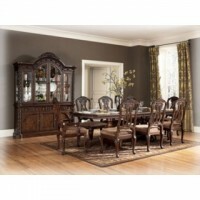 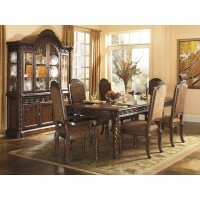 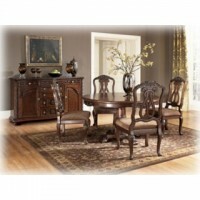 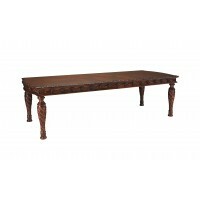 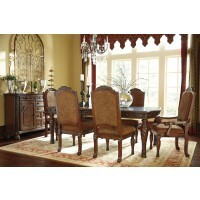 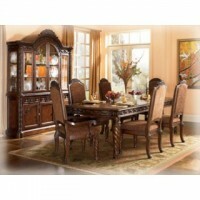 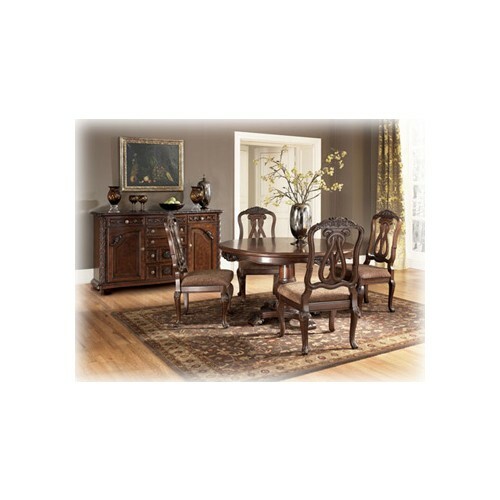 Transform your dining area with the rich style of the North Shore dining room collection.